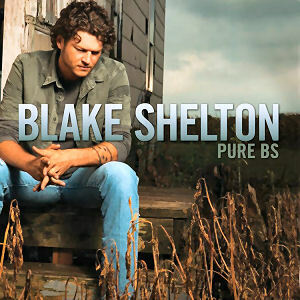 Blake Shelton, a country singer, releases his first “Six Pak” today, a six-song collection called Hillbilly Bone. His Hillbilly Bone CD is sold at a lower price than a regular CD. Other acts have started to sell music in packages besides singles and standard albums. Singers ranging from Michael Bublé to Lady Gaga have put out smaller sets to supplement sales or target niche audiences. Luke Bryan releases his second Spring Break digital EP today, with three songs that don’t appear on album Doin’ My Thing. New acts like country’s Josh Thompson and American Idol’s Jason Castro have released digital EPs in anticipation of full albums. Having an album with fewer tracks also worked well for teen singer Justin Bieber, who has sold 945,000 copies of his seven-track My World since November. Successor My World 2.0 comes out on March 23 with 10 cuts. Shelton’s first four albums went gold. While he continues to have big radio hits — the six-pack’s title track is No. 3 on USA TODAY’s country airplay chart — his last album, 2008’s Startin’ Fires, sold just 205,000 copies. Shelton’s release comes one week after the Country Music Association released a report showing declines in both the number of country music fans and the amounts they’re spending on music. “We want to try to buck the sales trend with Blake and deliver his fans more music more often with a value price ($4.99-$6),” says Peter Strickland, senior vice president of sales and marketing at Warner Bros. Nashville.